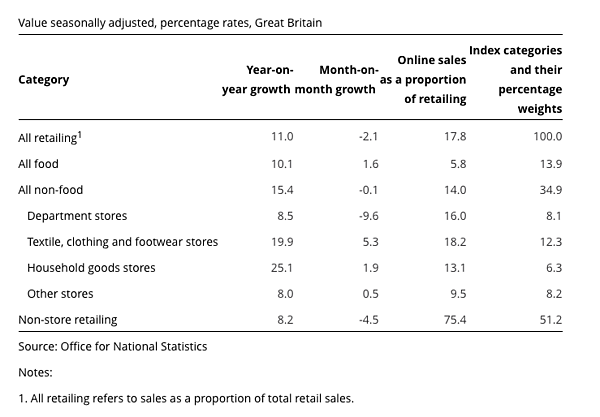 What’s happening with UK online retail sales? The Office for National Statistics has released their final monthly retail sales report for Great Britain before the high season takes retailers on and offline by surprise. 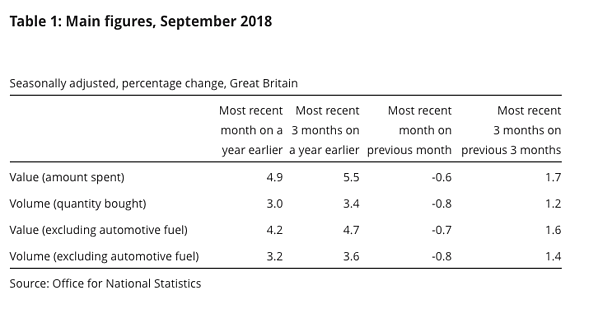 Messages on September performance are mixed, but the data provided by Rhian Murphy’s team doesn’t indicate which way the wind is blowing as the UK enters the historically busy Christmas period. In September 2018, consumers purchased a greater volume of goods and spent more money in retail sales when compared to the same time period in 2017. Year on year growth is strong for the industry, as is quarterly growth. The only data to prove a decline in amount spent and volume purchased is the month on month comparison between September 2018 and August 2018. The monthly growth rate fell by 0.6% in amount spent and 0.8% in quantity purchased. This data doesn’t really mean doom and gloom in the coming months. In 2017, monthly growth in retail was volatile when compared to both yearly and quarterly figures. We’re probably experiencing just another one of those months looking at September data. When we’re looking at ecommerce sales year-on-year, the news comes in the form of comforting double-digit positive growth. Internet sales increased by 11% for the amount spent in September 2018 when compared with the same period in 2017. However, month-on-month growth in internet retail is negative; we’re seeing 2.1% contraction in September 2018 when compared to August 2018. 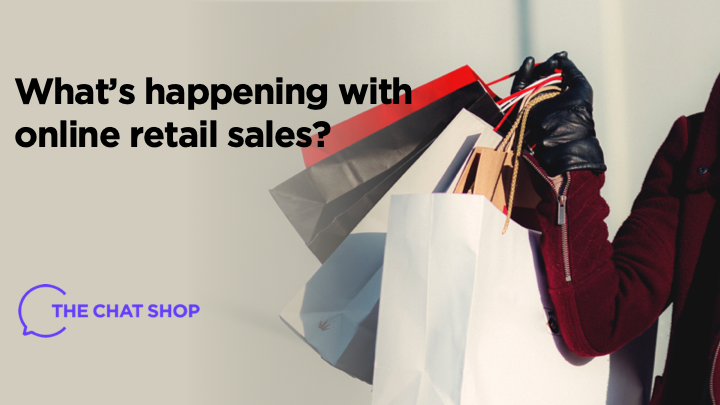 With volatile consumer spending, discounters in every industry subsector eating more market share, and the cost of human resource in physical stores cutting into more operational budgets, negative month-on-month growth can be a cause for concern if your company is not putting in place strategies to prepare for the season ahead.